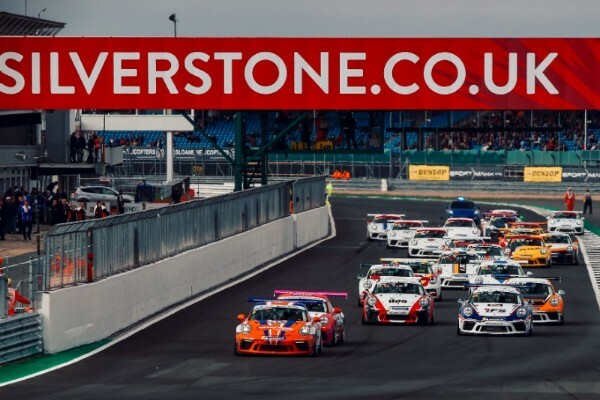 Redline Racing are in the hotseat to secure an historic eleventh drivers title in the Porsche Carrera Cup GB as victory for Dino Zamparelli during the penultimate meeting of the year at Silverstone (15/16 September) maintains his advantage at the top of the standings. Zamparelli’s third win of the season means he now holds an eight point championship lead heading into the season finale later this month, whilst Silverstone also played host to a positive series debut for Sam Brabham and a strong showing from Fraser Robertson. Silverstone held fond memories for Zamparelli as the scene of double Carrera Cup GB victories in both 2015 and 2017, and his great record at the circuit continued in qualifying on Saturday as he secured pole position in a remarkably close session. Only six hundredths of a second separated the top three around the short, fast National layout, with Zamparelli just edging in front for a second pole of the season so far, which crucially secured him a pair of championship points heading into race day. 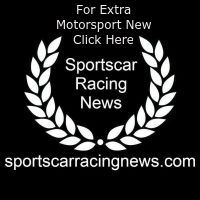 The 25 year old would produce an unbeatable performance in the opening race on Sunday, swiftly breaking clear of the pack and not looking back as he stormed to a controlled four second victory in his Nationwide Repair Centre backed Porsche. That placed him fourth on the reverse grid for race two in front of the live ITV4 television cameras, with a battling display in a close-fought race seeing the Anglo-Italian racer work his way to some vital championship points in fifth position. Zamparelli, who finished as Carrera Cup GB vice-champion in both 2016 and 2017, is determined to make it third time lucky in the season finale around the world-famous Brands Hatch Grand Prix circuit in Kent in two weeks’ time (29/30 September). For Brabham, the Silverstone weekend would be a real baptism of fire as he not only joined the ultra-competitive Carrera Cup GB grid for his sportscar racing debut, having spent his formative years in single-seater competition, but also for his first race meeting in four years. The third-generation driver faced a huge learning curve with his first time behind the wheel of his 485hp Porsche 911 GT3 Cup car coming in a pre-event test on Wednesday, but he transitioned well to his new machinery and made great progress heading into the weekend. Qualifying just six tenths of a second off the Pro-AM class pole position on Saturday, Brabham would take the confidence from that into the opening race and after dropping back to 21st early on, he produced a great drive to battle through to 16th at the flag. The 24 year old would impress further in race two, posting a personal best lap-time just two tenths shy of the Pro-Am pace-setter and producing some eye-catching overtaking moves as he climbed his way up six places to 13th to cap off a hugely encouraging Porsche debut. Robertson meanwhile produced a strong display at the ‘Home of British Motor Racing’ as he heads towards the end of an encouraging debut campaign in the series, with the Scotsman improving his pace each time he tackled the high-speed 1.64 mile circuit. After qualifying eighth in class, Robertson would edge closer to the front-running pace across the two races in his The Van Centre backed Porsche, with seventh and eighth place finishes on Sunday completing one of his most consistent weekends of the season. Simon Leonard: “We’ve reached that time of the season where every single point counts in the championship battle and Dino produced a brilliant display over the weekend to ensure he came away with an increased lead at the top. “His drive from pole position into a dominant race one victory was a joy to watch and showed him at the absolute top of his game, likewise in race two when he had to produce an intelligent drive to keep his nose clean in some fierce battles and bring home some more crucial points. “We were hugely impressed by Sam across his debut weekend. This is a hugely competitive series and he got right into the mix first time out and showed his clear talents out on track. Sam has been fantastic to work with and we hope to race together again in the future.